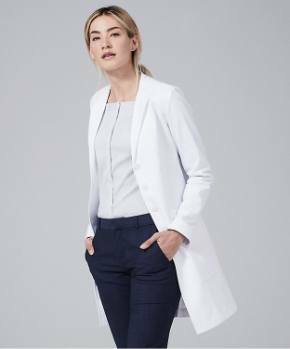 Understandably, tall lab coats are preferred by tall physicians and those seeking an elegant silhouette with longer lines. 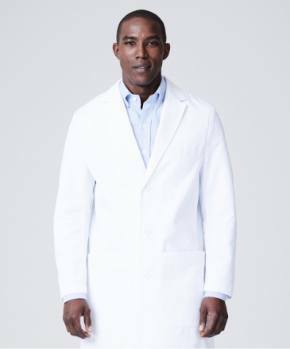 Tall lab coats are typically knee length. 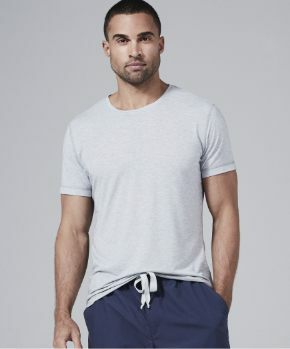 For men this equates to a 44 inch length, for women 38 inches. While most lab coats no matter what their length are pretty generic in terms of styling, there are some exceptions. 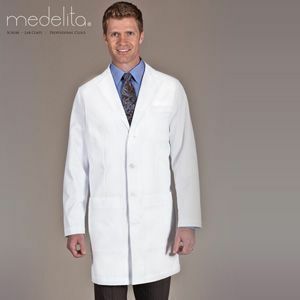 One brand that has certainly capitalized on the opportunity a tall lab coat offers a designer is Medelita //www.medelita.com/index.html. 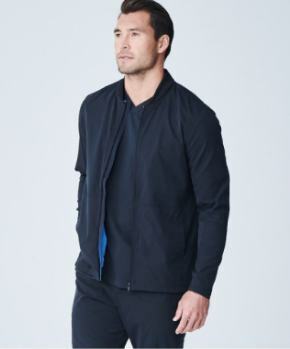 That company is known for its sophisticated designs, elegant yet functional fabrics and quality hand tailoring. Its men’s collection includes one tall lab coat for men, the “Osler.” It offers two tall lab coats for women, the “Callia,” and the “Estie.” There’s also an Osler iPad model and an Estie iPad model, with pockets specifically designed to hold an iPad, which adds meaningful convenience for those clinicians who routinely use iPads in their practice. 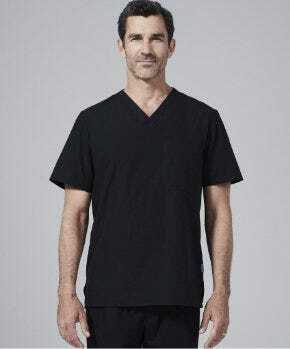 A visit to their website illustrates the shaping, lapels, pockets and back designs Medelita has built its medical apparel business upon. While you’re there, be sure to read the reviews from your colleagues on each of these tall lab coats. We think you’ll find them to be both objective and insightful.